Fshop is our newest Magento 2 Theme in 2017 with an attractive and modern design which perfectly fits for an online shopping store like clothes, shoes, or accessories store. 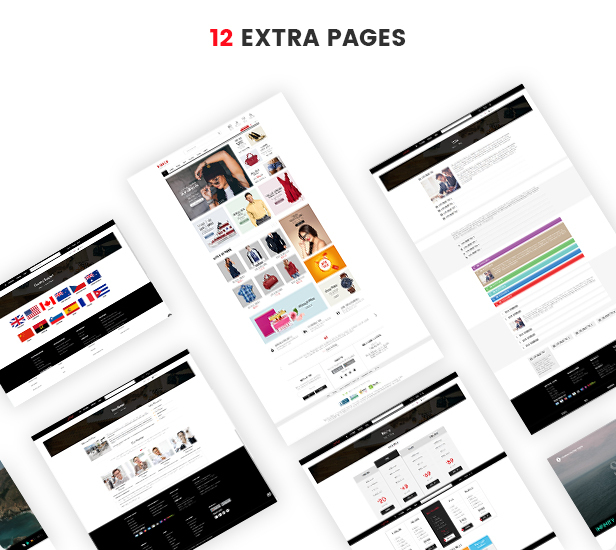 This theme goes with 5 homepage designs, unlimited color variations, and 12+ additional pages so you can choose the best one for your project. Magento 2 eCommerce theme with built-in support for Magento or other shopping cart extensions that will meet your online store website requirement. There are many other excellent features of this professional Magento 2 theme is waiting for you to explore. Let’s start to explore this awesome theme and feel it more now! Fshop is designed to be fully responsive, so your eCommerce theme will look amazing on all devices – perfect for shopping on the go! This theme includes 5 header and 5 footer styles for you choose from. You can select the header & footer style, which is suitable for your eCommerce store. No need to waste time struggling to create Demo Pages, Static Blocks or CMS pages. We integrated One-click import function in this Magento 2 theme. Just simple with once-click you can import any pages with sample content from the demo easily. This fashion store theme allows you to countdown to the end of sales or promotions in real time, or build anticipation for upcoming events! Premium included extensions worth +$200: SM Basic Product, SM Mega Menu, SM Quickview, SM Image Slider, SM Listing Tabs, SM Categories, SM Shop By, SM Cart Pro, SM Listing Deals, SM Intagram Gallery, SM Twitter Slider.